A man who started a shooting in Kharkiv City Council building shot at Skoda car with a child, as Oleh Bekh, Head of Kharkiv Police, stated at the briefing in Kharkiv. “The man shot at the doors of the City Council. He returned to the mentioned vehicle and started screaming so that they leave. The car was waiting for the green light. The attacker started shooting at the car, people were trying to pass and pulled over after the crossroad, as the wheel was damaged. It was defined that there were two adults and a child in the car,” Bekh said. It was noted that three criminal proceedings were opened. Reportedly, police consider three version of the incident - assault because of the government’s actions, mental deviation of the shooter and hooliganism. 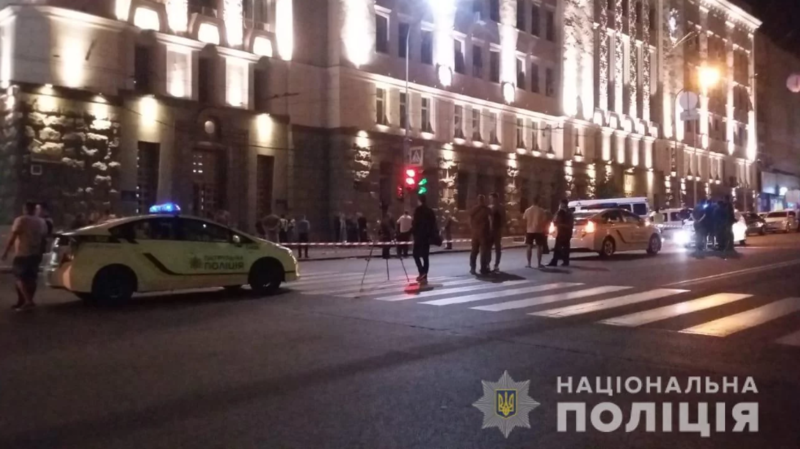 As it was reported, a shooting incident occurred at city council building in Kharkiv. A shooter opened fire, standing next to a wounded man. He shot at patrol policemen who passed nearby. One of the bullets hit another policeman. The servicemen returned fire and eliminated the attacker. His identity is being checked. The wounded men were taken to a hospital, where one of them deceased. Another wounded is at the hospital, his grave conditions are stable.